The Board of Directors are elected to a 3 year term on a revolving cycle. The Board meets the second Thursday of each month. Meeting times during the winter are at 7:30 P. M. and during day light savings the meets start at 8:00 P. M. The meetings are held at the Rural Water Office located at 210 Esau in Walton, Kansas. To appear before the Board a request must be made with the Office Manager the Friday prior to the meeting in order to be placed on the agenda. 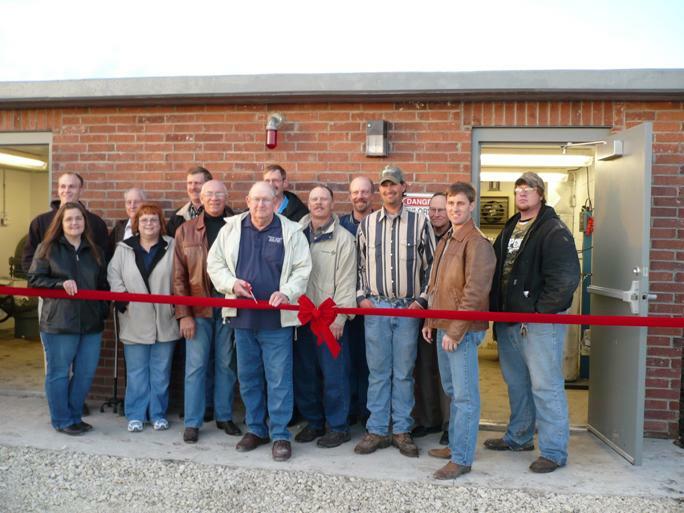 A ribbon cutting took place on November 12, 2008 for the construction project. The three new water wells went on line that day. 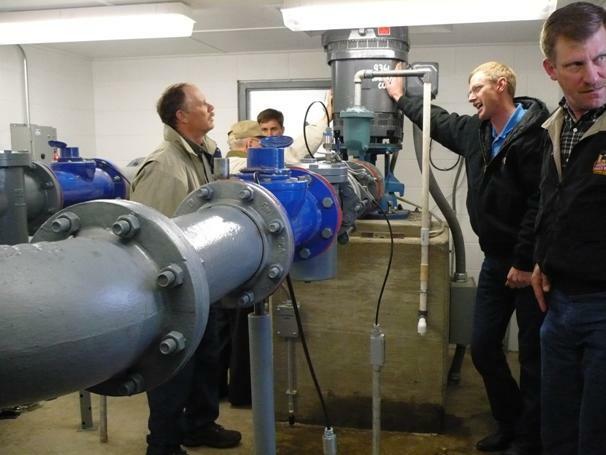 Above: Board members check out the inside of the pumping station at the Ribbon Cutting on November 13, 2008. 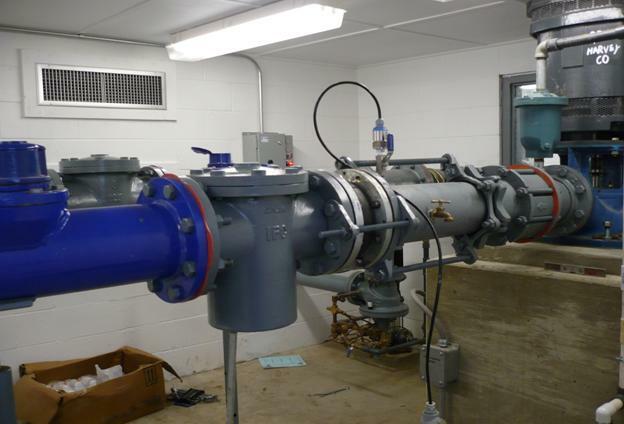 Above: Inside the new pump station. 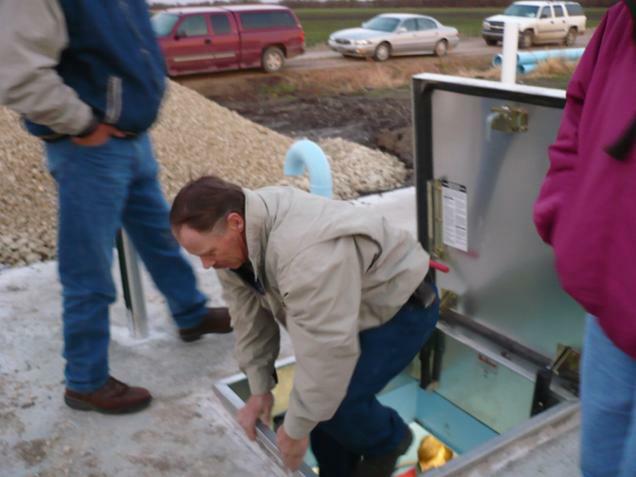 Above: Board members check out the new vault installed near the pump house. Above: Maintenance personnel prepare to go out and read customers meters. 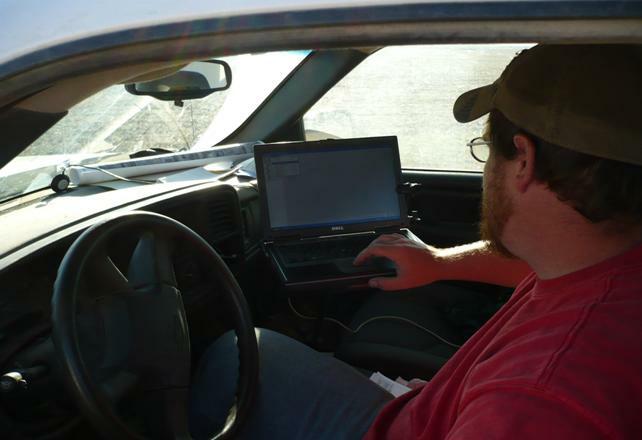 A computer is used in one of the company trucks to drive by each meter location and pickup the reading as personnel drive by the meter without leaving the truck. Above: The computer screen show all the meter location within the District. As meter reader drives by the customers house the green dot disappears to let the reader know it was read. 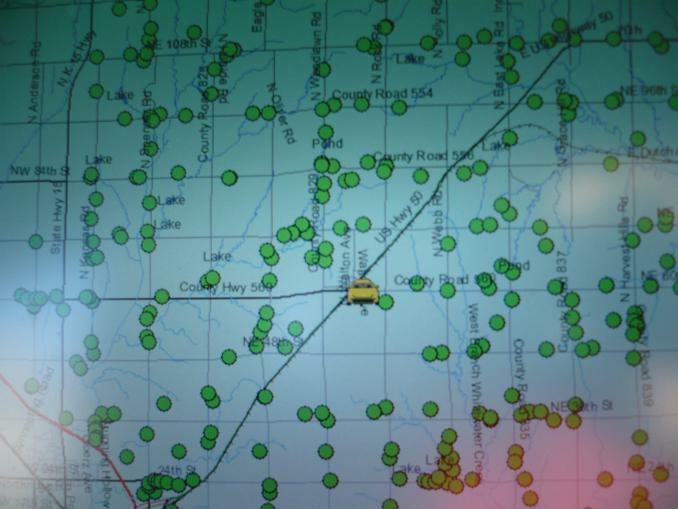 The meter reader knows were he is at all times by where the little yellow truck is located on the map.